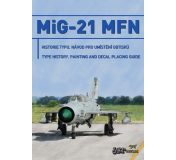 Decal set for Eduard 1/48 scale MiG-21MF model kit. 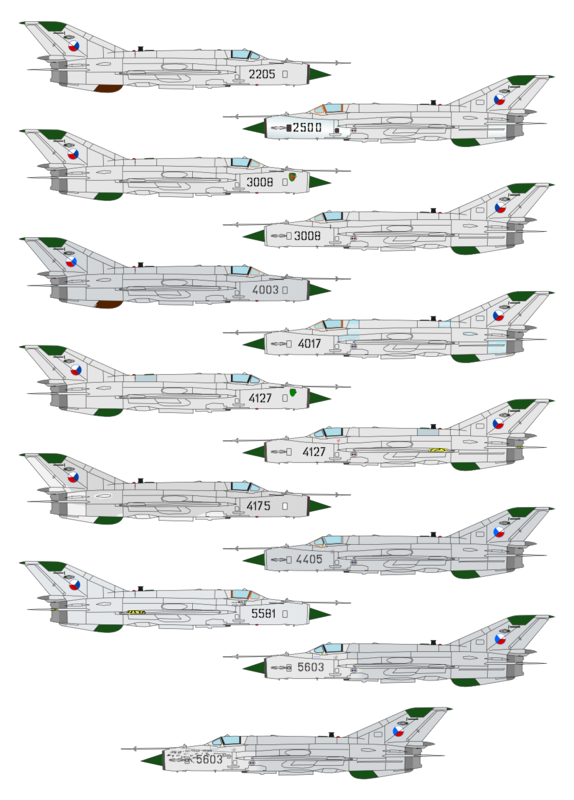 Covers all 10 MiG-21MFN used by the Czech Air Force between 1999 and 2005. Contains national insignia for two aircraft, one set with darker blue and one set with lighter blue, and remaining decals for all the aircraft. Additional set of national insignia can be purchased separately (item #948002). All 10 aircraft can be build using additional national insignia sets. 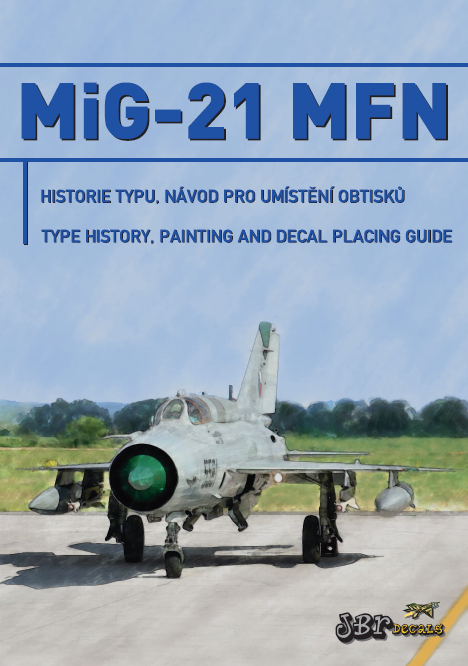 Also included is 36-page bilingual (CZ+EN) booklet containing overview of type history and service, decal placing guide and painting schemes for all the aircraft.